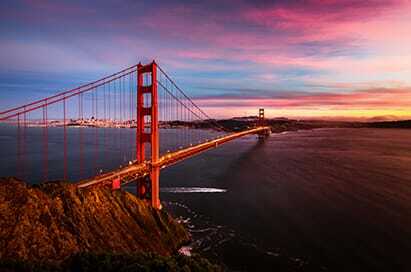 San Francisco is one of the USA's most attractive cities. Famously hilly, its seven- by-seven square mile size also makes it surprisingly compact and accessible. 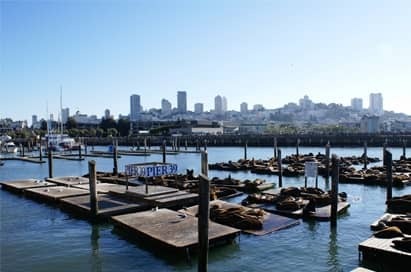 While Golden Gate Bridge, Alcatraz and Fisherman's Wharf are on every to-do list, it is the spirit of the city that makes it such an inspiring destination to take a school trip. Good times and social revolutions tend to start here from the original gold rush, the hippy sub-culture to the yet unimagined technology being developed at Silicon Valley. Built on the San Andreas Fault with Yosemite National Park so close the city has its fair share of natural and man-made wonders that demonstrate the resilience of the city. It may have lost almost everything in earthquakes but it never loses its nerve, and is a unique and interesting destination for a school trip or educational visit. The formidable fortress in the middle of San Francisco Bay known as “The Rock” started out as a lighthouse station in 1854, but its isolated location made it an ideal spot for a penal colony. 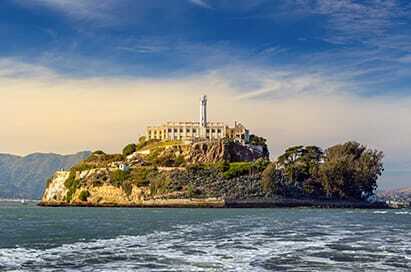 Infamous former inhabitants include Al Capone, George ‘Machine Gun’ Kelly and Robert Stroud, the Birdman of Alcatraz. The audio cellhouse tour, narrated by former inmates and guards, offers accounts of life at the prison and escape attempts. Arguably the world's most beautiful bridge, the Golden Gate Bridge connects San Francisco with Marin County and can be experienced from near countless angles. Drive, bike, or walk across the two-mile long suspension bridge. The 1,000-acre Golden Gate Park, larger than Central Park, is located in the western area of the city includes several great museums, a botanical garden, and an arboretum. A visit to San Francisco wouldn't be complete without a ride on San Francisco's most notable form of transportation. Hop aboard and you'll be treated to a unique 9 mph rolling tour of the city that includes views of Nob Hill, Fisherman's Wharf, the Bay and Alcatraz Island. Home to the largest concentration of Chinese outside China, San Francisco’s Chinatown packages exotic shops, restaurants, produce markets, temples and more within nearly two dozen downtown blocks. 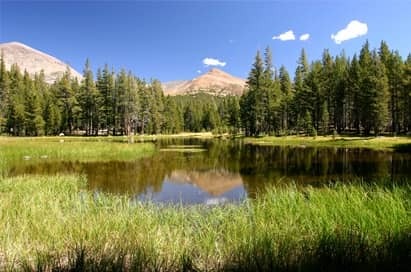 Yosemite National Park is best known for its waterfalls, but within its nearly 1,200 square miles, you can find glacier-carved valleys, grand meadows, alpine peaks, ancient giant sequoias, a vast wilderness area, and much more. The Vault, the lobby exhibition space, has displays focusing on the history of the company, including jeans that saw the gold rush, videos about Levi's marketing and textile restoration, and temporary displays such as the jeans made for celebs like Lady Gaga and Elton John. You can purchase Levi's and Dockers straight from the source at the cosy lobby boutique. The wonderful Filbert Steps to Coit Tower are across the street. The museum features exhibits chronicling the life and legacy of Walt Disney. 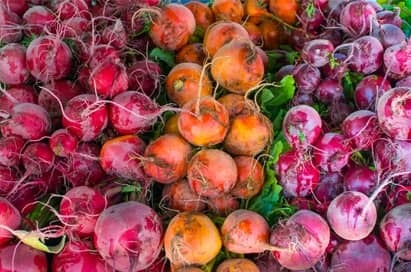 Fort Mason Center transforms into a farmers’ market and its proximity to the Bay and view of the Golden Gate Bridge certainly makes it one of the most scenic markets. The market is packed with vendors, offering beautiful seasonal produce and prepared foods, and families. The Winchester Mystery House is a mansion in San Jose which was once the personal residence of Sarah Winchester, the widow of gun magnate William Wirt Winchester. The Victorian mansion is renowned for its size, its architectural curiosi?es, and its lack of any master building plan. It is a designated California historical landmark and is listed on the National Register of Historic Places.